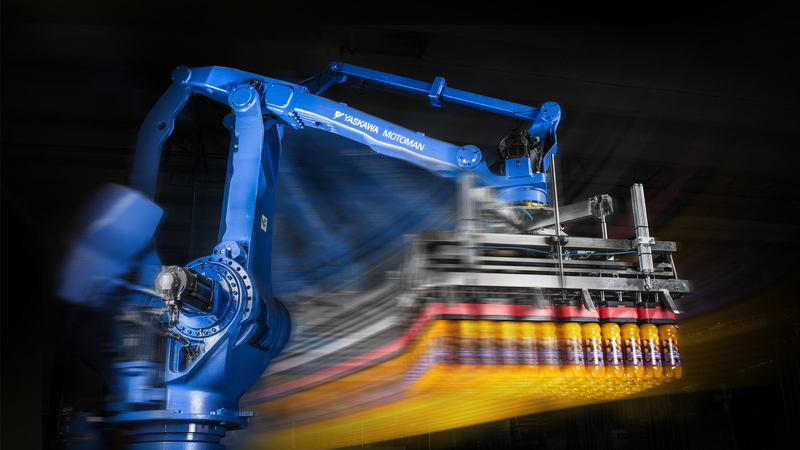 Air Grip is a patented, efficient, safe and flexible bottle gripper for MOTOMAN® robots. 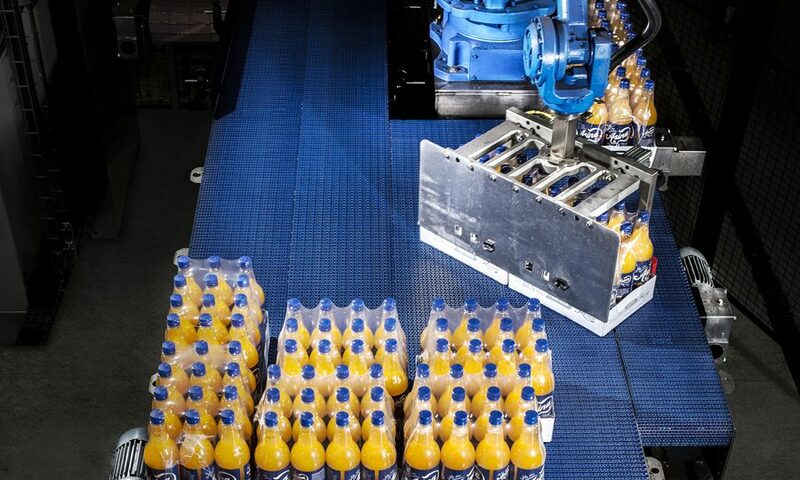 With Air Grip it is possible to handle up to 47 000 bottles/hour with only two robots. 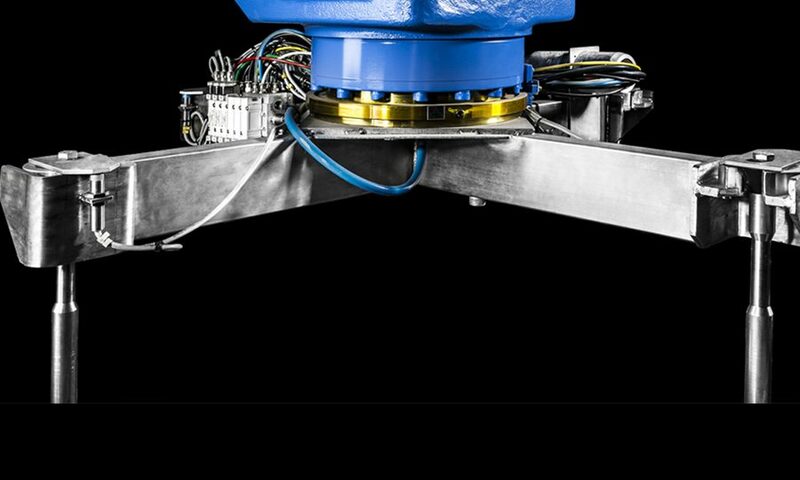 With our robots and the Air Grip tool you will experience a trouble free high capacity production with minimized standstills and low air pressure requirement. The economic benefits are many. The Air Grip tool has been developed to meet the demands for a flexible application in bottling plants. The same basic concept can be used in both small and large companies and for a variety of purposes. It is easy to use, has a long lifespan and handles the majority of glass or plastic bottles types and trays. 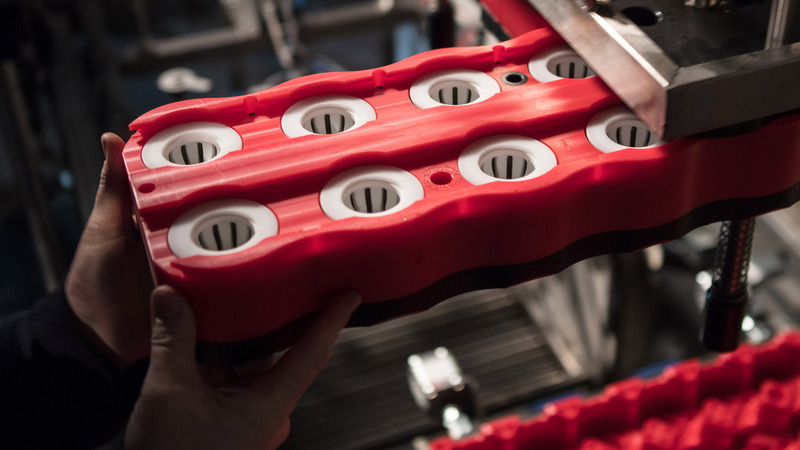 Your production can easily be adjusted to the varying demands of the market and high standards of production reliability are met. The Air Grip gripper tool comes in a basic model. In which the rubber gripping cuffs are replaced when worn by unlocking and pulling out the gripping head compartment. The cuffs are designed in five standard sizes covering most of the current assortment of bottles. The Air Grip tool for bottle handling has been developed to meet the demands for a flexible application in bottling plants. The same basic concept can be used in both small and large companies and for a variety of purposes. The technology is adapted to meet the requirments of individual produktion lines, production speeds and product development. The cuffs are made in five standard sizes covering most of the current assortment of bottles. If required, we can also develop a custom made design according to your need. The rubber gripping cuffs can be replaced by hand and does not require any tools. Bottles are locked in place with the air pressure in the cuff instead of by mechanical means. This substantially increases the life span of the gripping cuff. Open ended gripping cuffs allow free bottle height and that also helps reduce the risk of a production hault caused by jammed caps. The bottle sorting table conveyor can be used either for free bottles, or bottles in multipack. 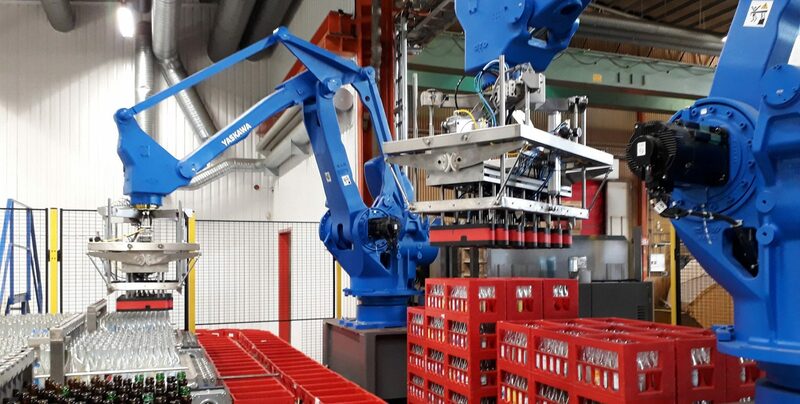 For free bottles the robot lifts, in one single motion, a special bottle lane divider tool and places it on top of the sorting table. When the table is to be used for multipacks, the robot simply removes the lane divider again. • Quick and easy change between multipacks and free bottles. • Bottle lines for 0.5; 1.0; 1.5 or 2.0 litres. 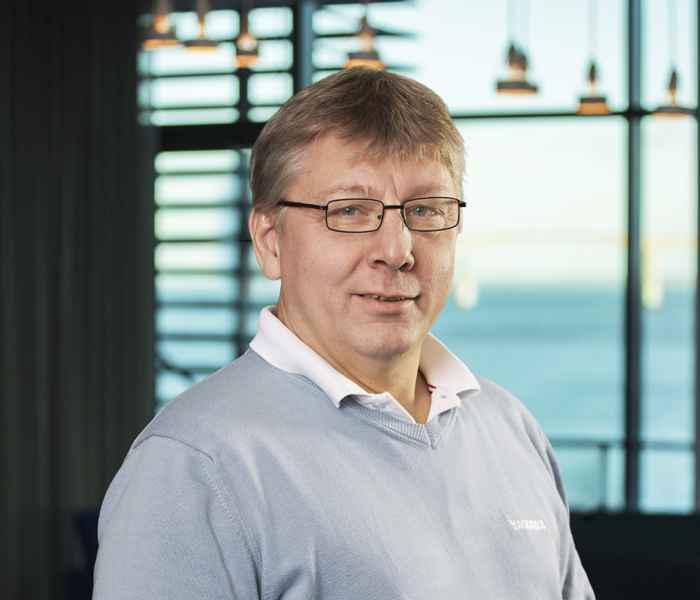 Easy changeover – thanks to the safety cross – saves time. Change the gripper in less than 3 min. Easy to clean – thanks to clever design and ability to dismantle without tools. No tools needed for disassembly – thanks to clever design. Safety cross – Air Grip frame is held securely and cannot be unhooked.